Nikon has announced a milestone in Nikkor lens production, hitting 95 million lenses to date for its DSLRs and Nikon 1 compact system cameras. This comes eight months after it reached the 90 million milestone, so Nikkor lenses have been rolling off the production lines at the rate of around 20,000 per day. Nikon's lens range features over 90 different lens types ranging from ultra-wideangle fisheye lenses to professional super-telephotos. Already this year it's announced the AF-S NIKKOR 300mm f/4E PF ED VR, which uses an innovative 'phase fresnel' lens element to produce a super-compact design for a lens of this focal length and aperture. 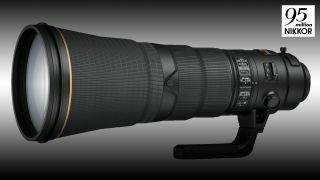 And in July 2015, Nikon has also announced the AF-S NIKKOR 500mm f/4E FL ED VR and AF-S NIKKOR 600mm f/4E FL ED VR professional super-telephoto lenses, claimed to be the lightest in their class. Owners of DX-format Nikons get a new lens too – the AF-S DX NIKKOR 16-80mm f/2.8-4E ED VR. This is a high-spec kit zoom replacement, covering a wider focal range with a wider maximum aperture than the regular 18-55mm f/3.5-5.6 kit lens. It's not all plain sailing for Nikon, though. On July 8th, Canon announced its own production milestone of 110 million EF interchangeable lenses. That doesn't sound like much of a difference, but comparing the two companies' figures for the past few years reveals some interesting trends. Back at the start of 2011, Canon and Nikon had both made a total of 60 million lenses, but since then Canon has opened up the gap considerably. The good news for DSLR fans is that although the rate of lens production appears to be slowing for both companies, the decrease is quite gradual.